Rajasthan Royals made their way into the finals of CLT20 after a pressure end. Today in the first Semi-final of the CLT20, Rajasthan Royals played against Chennai Super Kings. Chennai won the toss and elected to field first and finally lost the match to Rajasthan by 14 runs. Thus Rajasthan stays undefeated in CLT20 and may prove to be unbeaten at the end of CLT20 too. Lets wait for the another two days for the final champions. 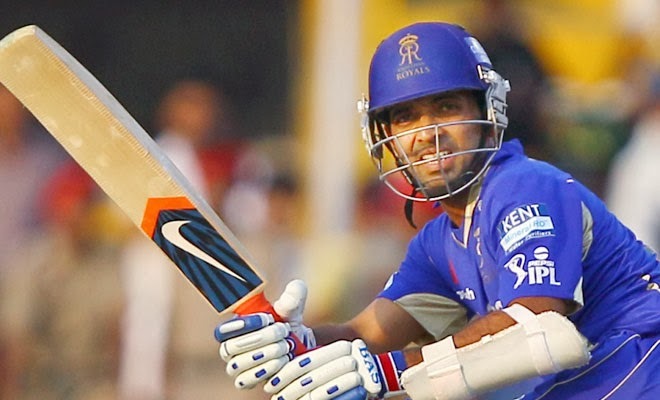 The Rajasthan Royals skipper Rahul Dravid and Ajinkya Rahane were the openers. Skipper gone for 5 runs whereas Rahane stood long and made 70 in 56 balls which holds 6 boundaries and 2 six. Rahane made a consecutive 3 fifties. Next good play was made by Shane Watson who made 32 from 23 balls which holds 4 boundaries. Finally the Rajasthan innings came to an end for 159/8 in 20 overs. In Chennai bowling side, Bravo took 3 wickets whereas Holder and Morris took 2 wickets each. Mohit Sharma left out with 1 wicket. Michael Hussey and Murali Vijay came to the batting crease as openers with the target of 160 and they couldn't make a good play. First wicket to depart is Hussey by run-out. Today our top order batsman’s struggled in the crease and many run-out attempts were taken and first two wickets gone for run-out. None performed well with a good T20 batting. 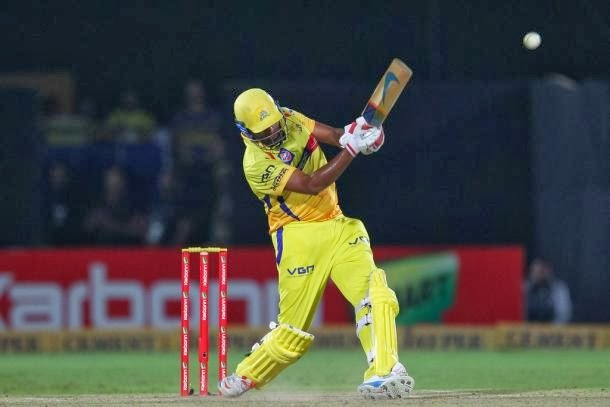 Raina made 29 for 23 balls with four boundaries. Then Chennai was in the bad situation of 72/7 at 12.3 overs. Then Ashwin is the person who turned attention of everyone towards Chennai. He put Rajasthan under pressure with his 46 runs from 28 balls which holds 3 six and 3 four. Morris too joined him and gave a chance for Chennai to win but they couldn’t make it. Finally Chennai innings came to the end by 145/8 in 20 overs. 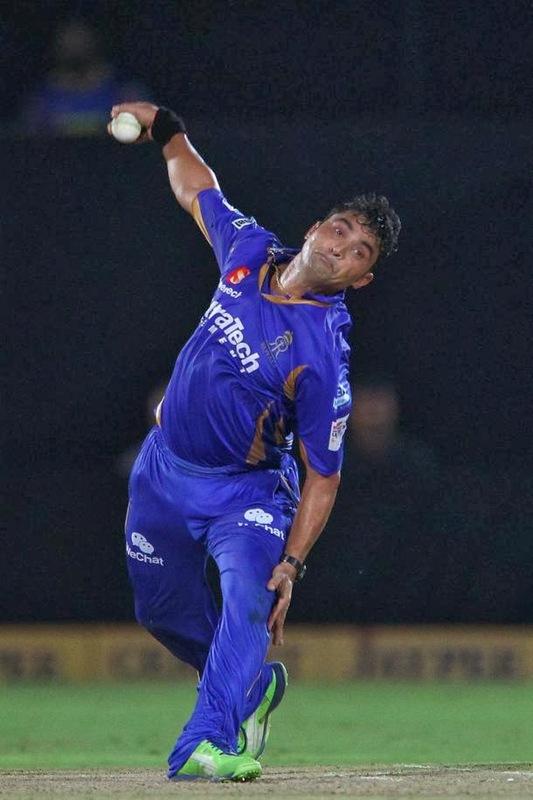 In Rajasthan Bowling side, Pravin Tambe made an excellent economic bowling and took 3 wickets. Faulkner, Watson and Shulka took 1 wicket each. Thus Rajasthan won semi by 14 runs and made their way into Finals and stays undefeated in CLT20. Chennai fans were disappointed. How was the match? Who is going to meet Rajasthan in finals.? Lets wait and watch.